Home/TV and Video/How Can Smart TVs Get Even Smarter? There’s no denying that television has come a long way over the years. Modern homes have high-definition TVs, countless channels, and convenient streaming services. But what about smart TVs? These new inventions bring the promise of personalized viewing experiences and a number of new features. Smart TVs have come a long way in recent years. In fact, the global smart TV market will more than double over the next decade to nearly $300 billion. That means new innovations that can completely transform the television watching experience. Curious to learn how smart TVs can get even smarter? Read our article and find out! There’s no shortage of top media players available on the market: Apple TV, Amazon Fire TV, Roku. The number of people using streaming devices continues to climb. Streaming platforms, like Netflix and Hulu, are also becoming commonplace. 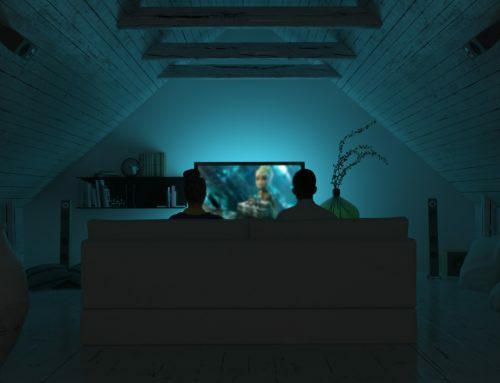 Smart TV technology may soon disrupt the streaming industry forever. Sling TV, for example, announced a complete overhaul of their app. The new and improved model will provide Netflix recommendations and store their favorite shows on the cloud. You can undoubtedly find a smart TV with streaming services. But new models will make it easier to stream and find shows you love. Have you ever caught yourself scrolling through your smartphone while you watch TV? New smart TVs can help you do both all in one place. Smart TVs help you easily navigate between your favorite smartphone applications and TV. They have a range of new functions that let you seamlessly operate your TV like your phone. Google’s smart TV, Android TV, is a smart TV with wifi with the same functionality as Android devices. As smartphones continue to evolve, so will smart TVs. Alexa, play Shameless. Siri, stream The Office. Virtual assistants have already changed the way we interact with our smartphones. You can use them to do everything from check the weather to turn on your lights. They are so prevalent that experts predict the virtual assistant market size to reach $12.28 billion by 2024. Virtual assistants are evolving at lightning fast speeds. Many smart TVs already have virtual assistants. You can find a smart TV Google assistant or a smart TV Alexa readily available on the market. Amazon Fire TV, Sony Bravia, and Phillips OLED already include virtual assistants. Upgrades to virtual assistants will only make these smart TVs more intelligent. Are you still waiting for your Apple iOS TV or Smarthings Extend TV? You’re not alone. Many companies are still researching and developing their smart TVs. They are lagging behind on promises of a hub-less smart home or remote access to home gadgets. Home gadgets and smart TVs still have a ways to go when it comes to full integration. Smart homes and smart TVs need to come together to unleash their full potential. Once they do, the sky is the limit for their intelligence. Are you looking for the right smart TVs for you? We can help. 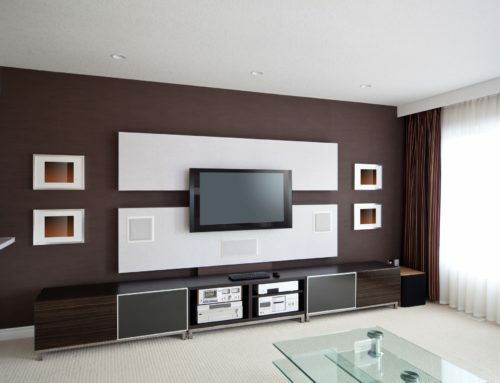 Check out our TV and video players perfect for any home.